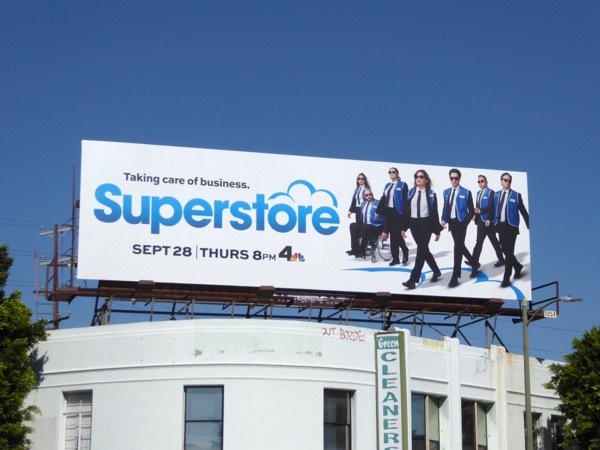 Daily Billboard always appreciates when long-running shows keep their season promo billboards fresh to help retain interest in the city skies, like with this Reservoir Dogs-inspired ad creative for the third season of NBC comedy Superstore. 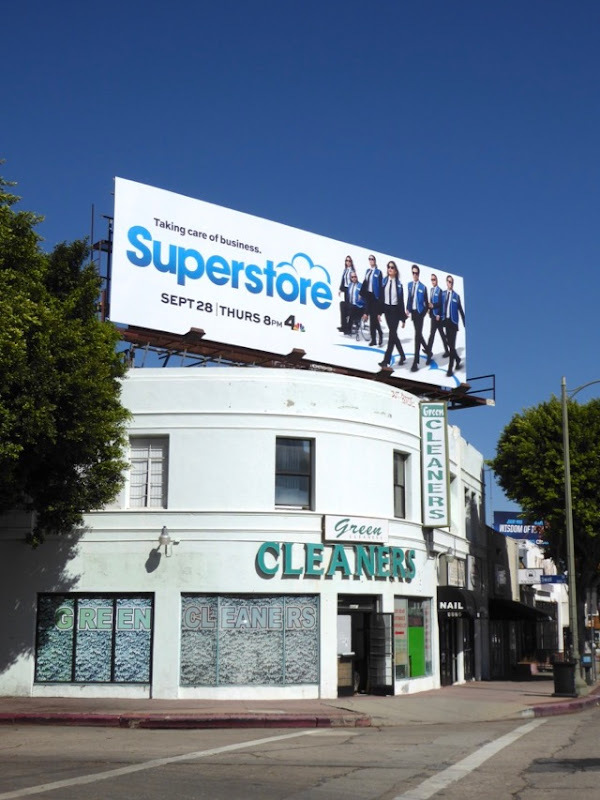 The big-box employees at the Cloud 9 store may not be used to 'Taking care of business' in the same way as Quentin Tarantino's 1992 gangster flick, but it certainly makes for a fun spoof. 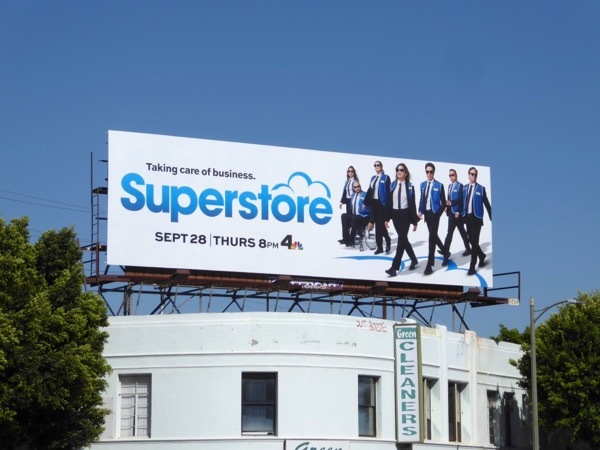 This eye-catching season three billboard, featuring a suited America Ferrera, Ben Feldman et al, was snapped along Pico Boulevard on September 24, 2017. 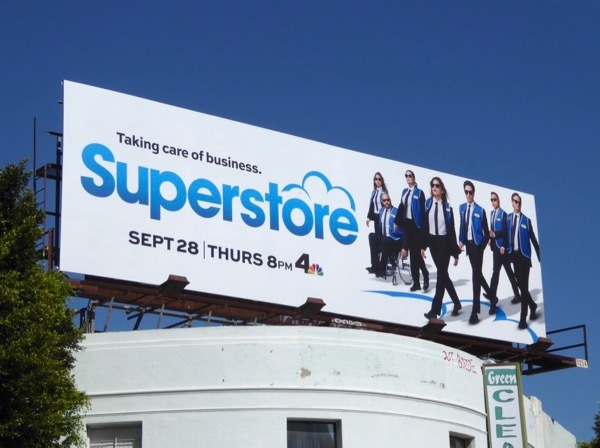 Meanwhile fans of the workplace sitcom can also enjoy these previous season Superstore billboards. Plus for other fun movie parody ad creatives, you can check out this My Little Pony Bridlemaids spoof billboard for the movie Bridesmaids, this fun Deadpool movie billboard mocking romantic comedies, this Derek comedy special making fun of the Fifty Shades of Grey marketing campaign and this season twelve billboard for It's Alway Sunny in Philadelphia channeling The Sound of Music. 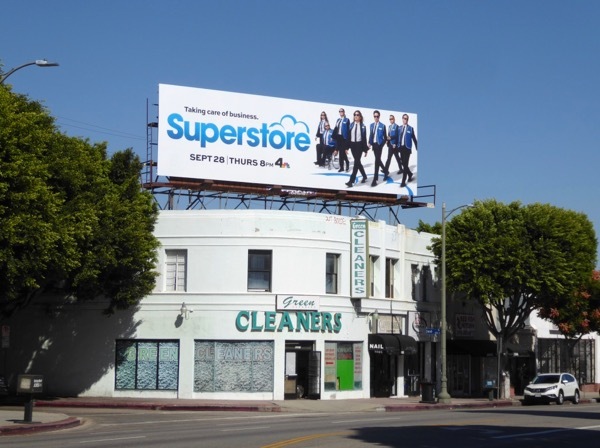 Hopefully the return of Superstore and all these funny billboards can help put a smile on your face and make you laugh today. 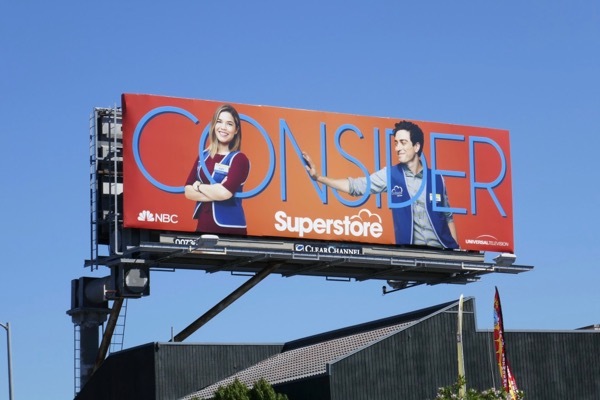 UPDATED: Here's also an Emmy consideration billboard for the workplace comedy spotted along Overland Avenue on July 22, 2018, part of NBC's 2018 Consider Emmy campaign.